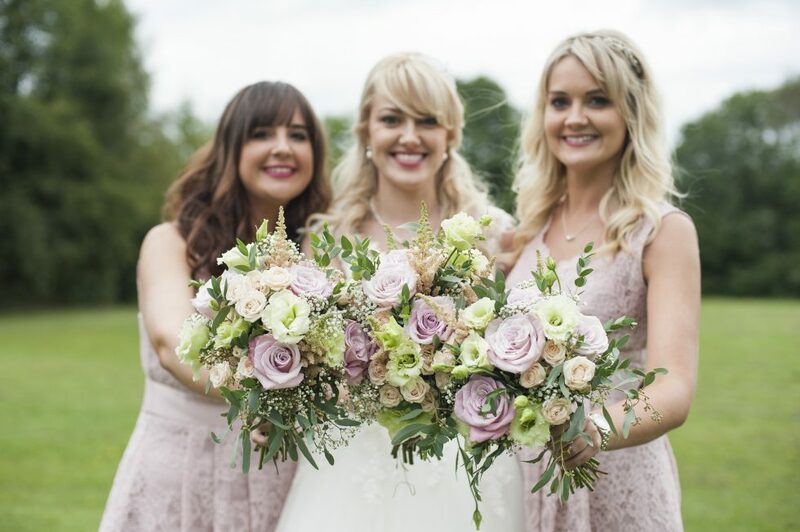 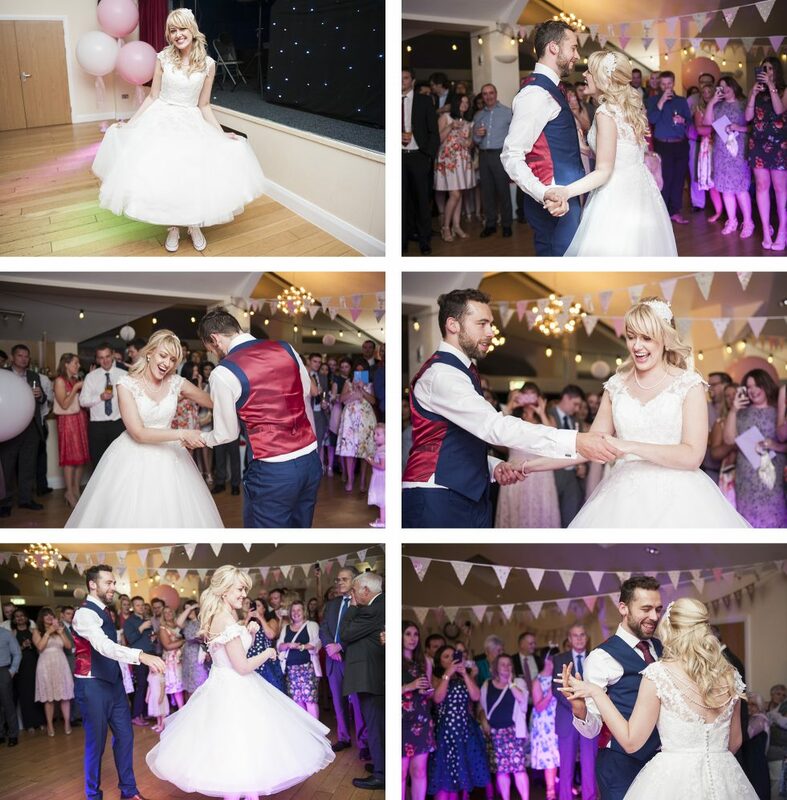 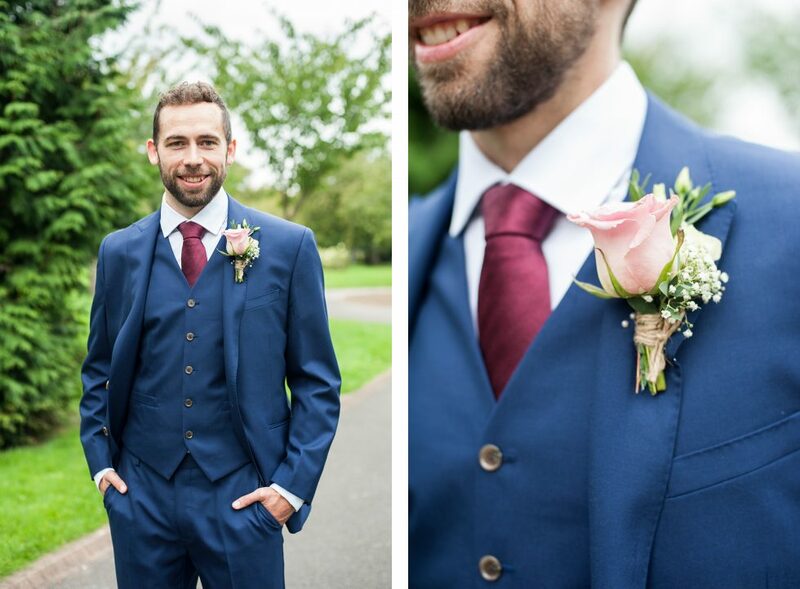 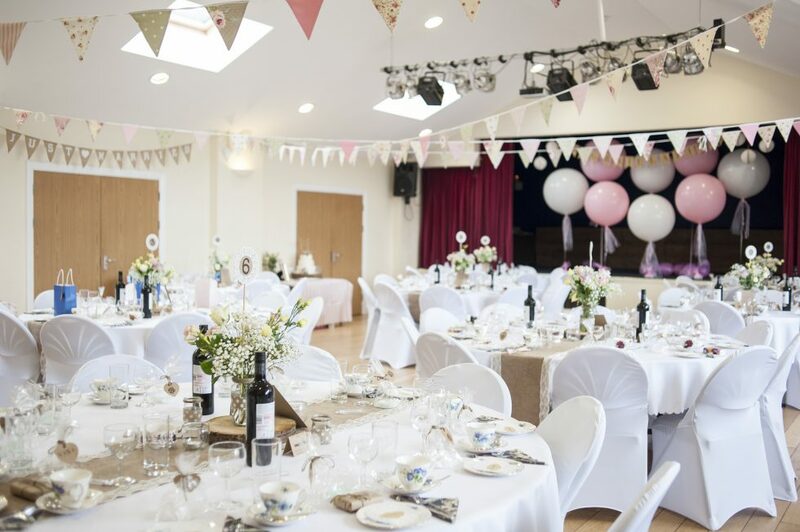 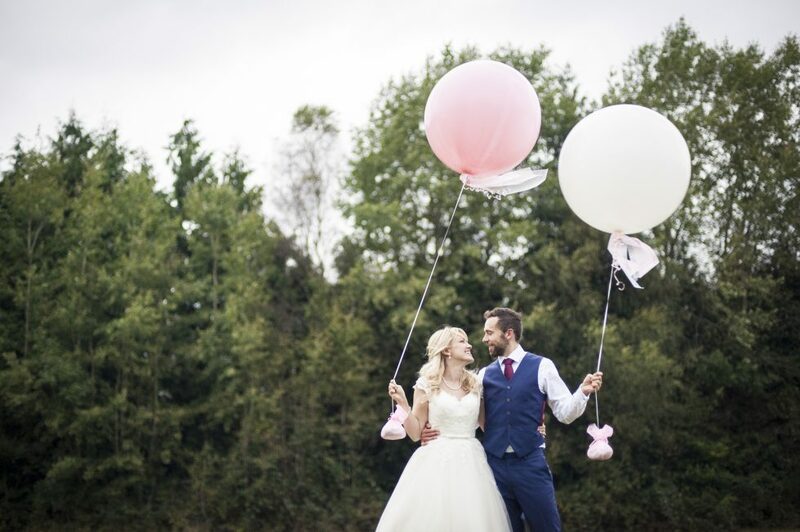 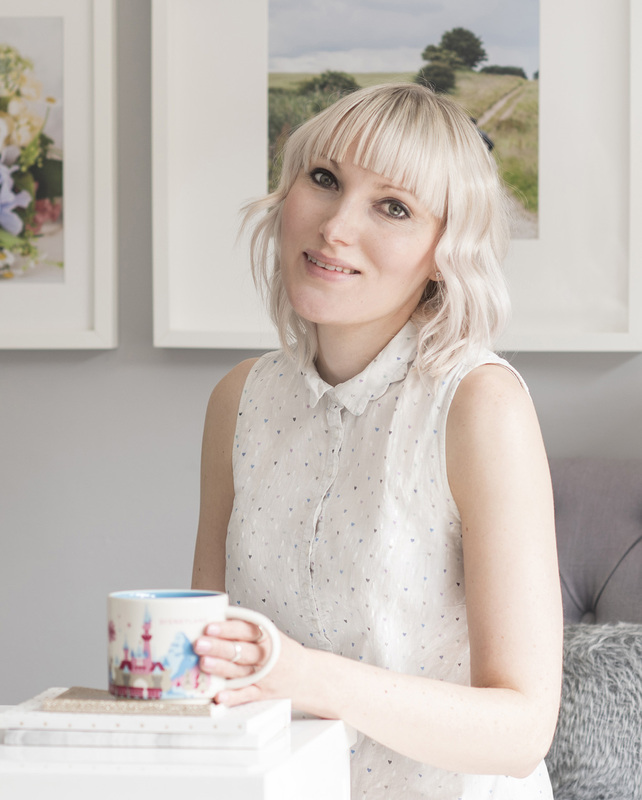 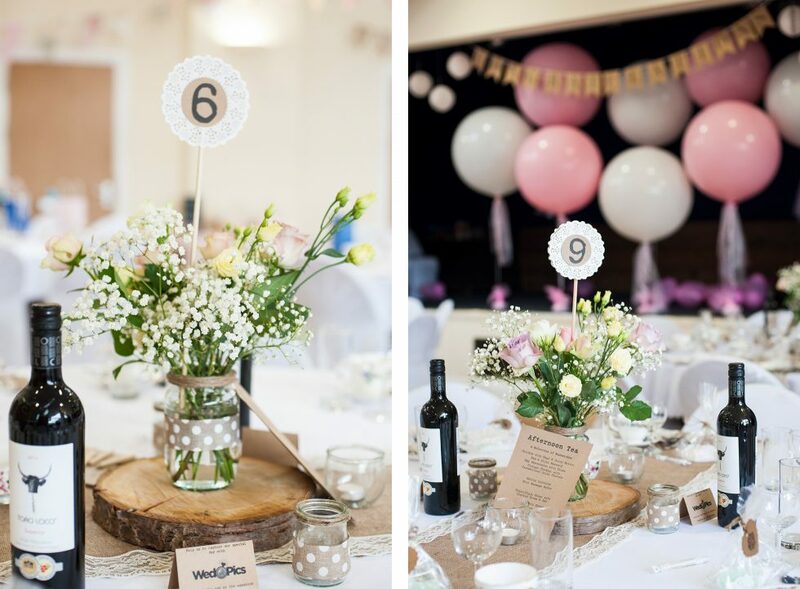 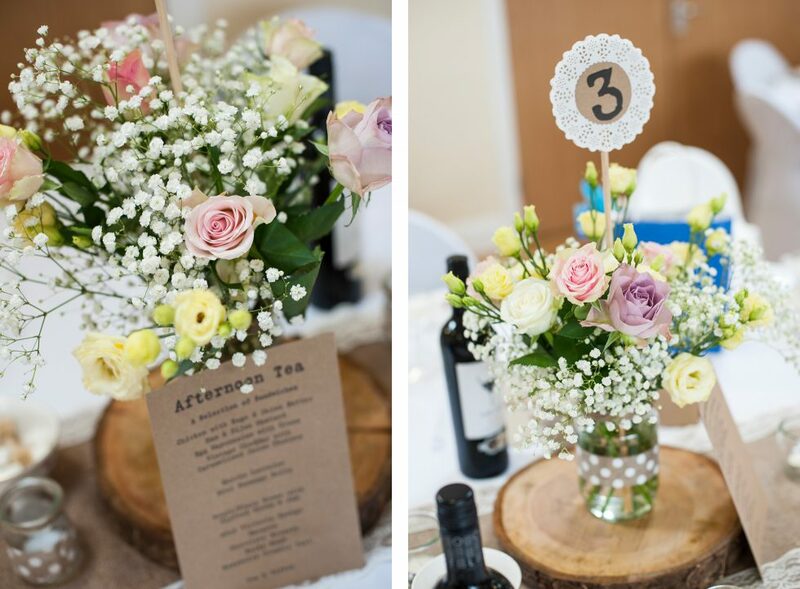 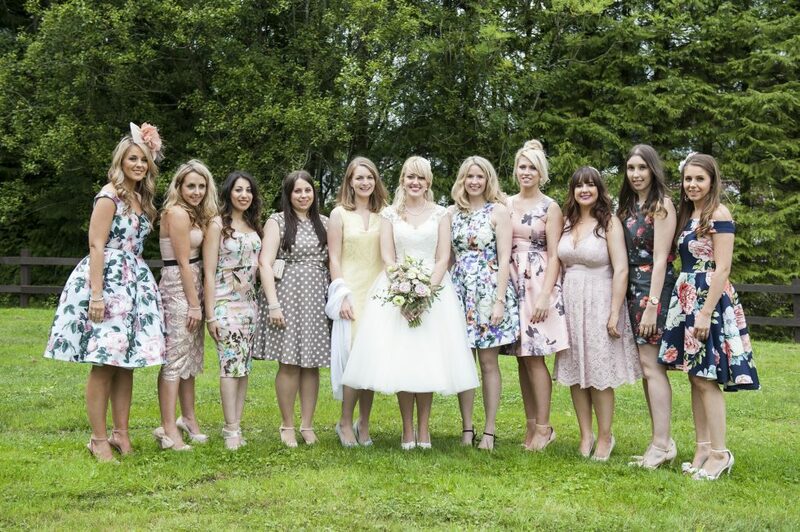 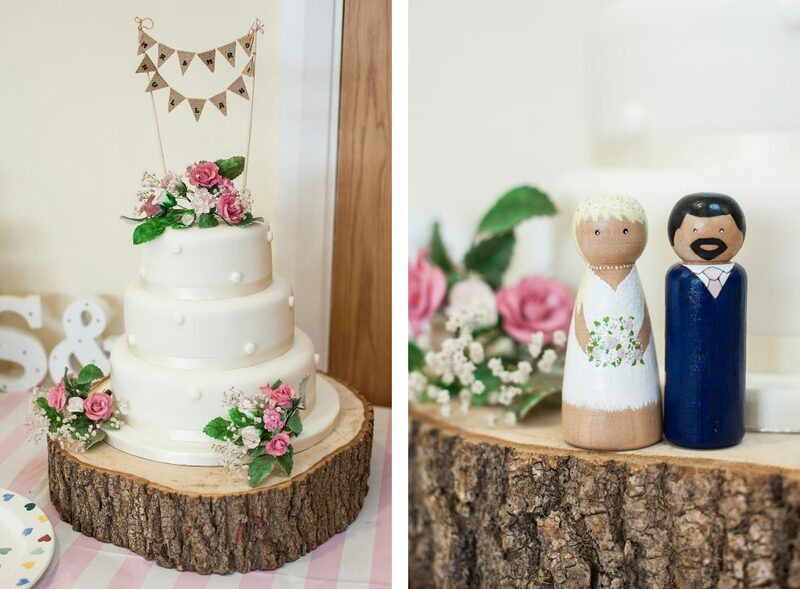 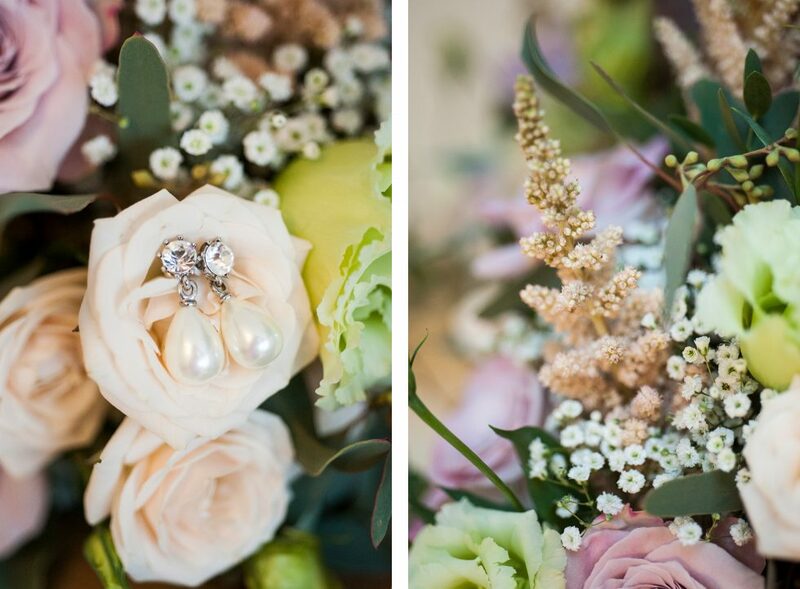 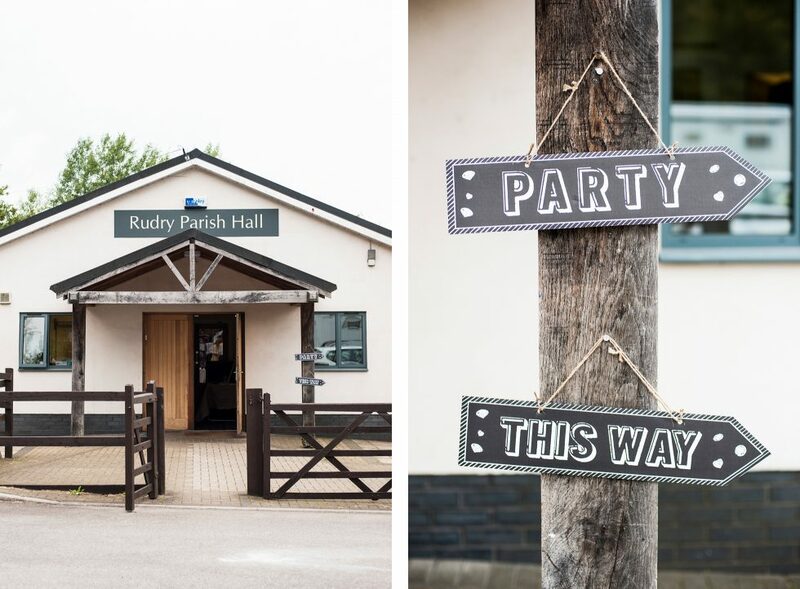 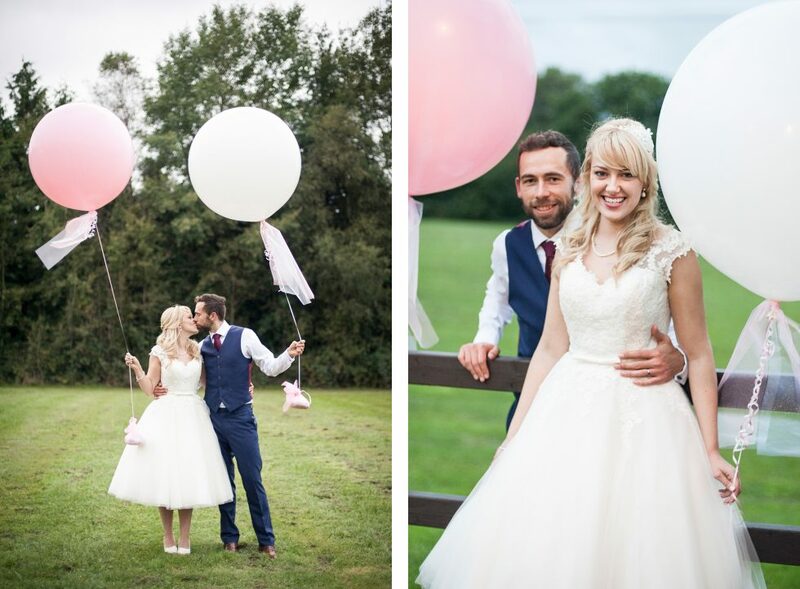 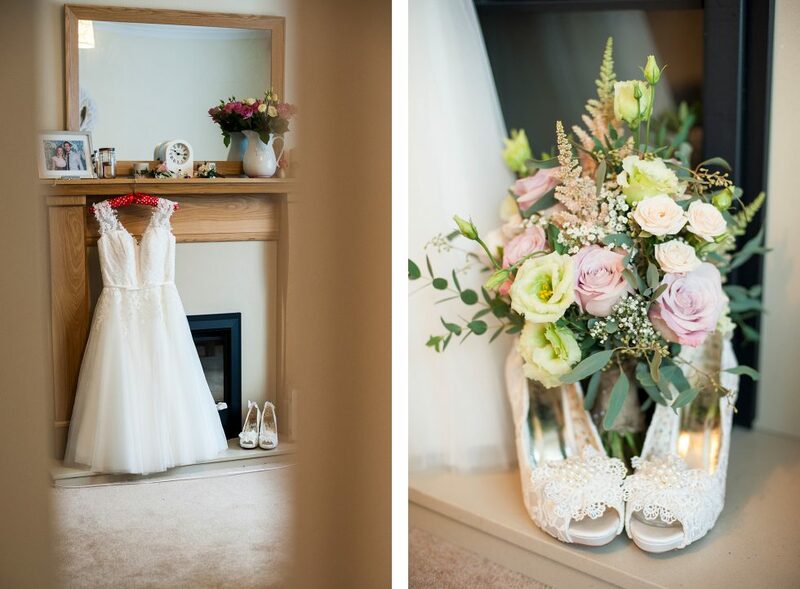 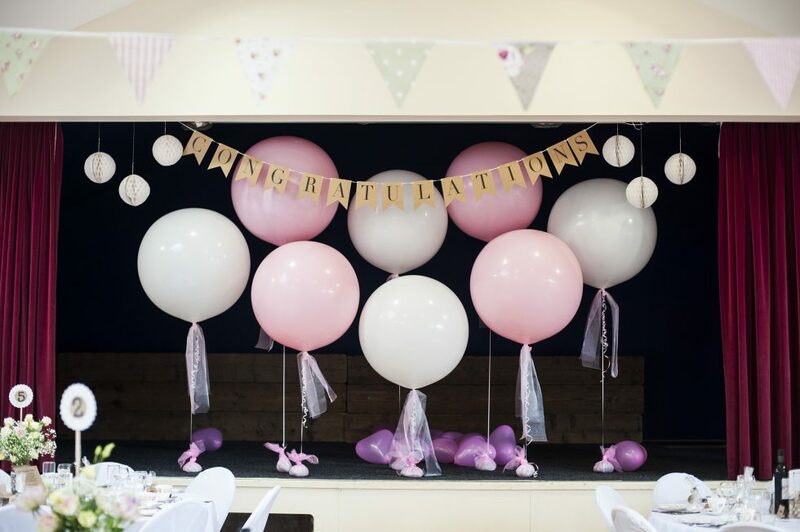 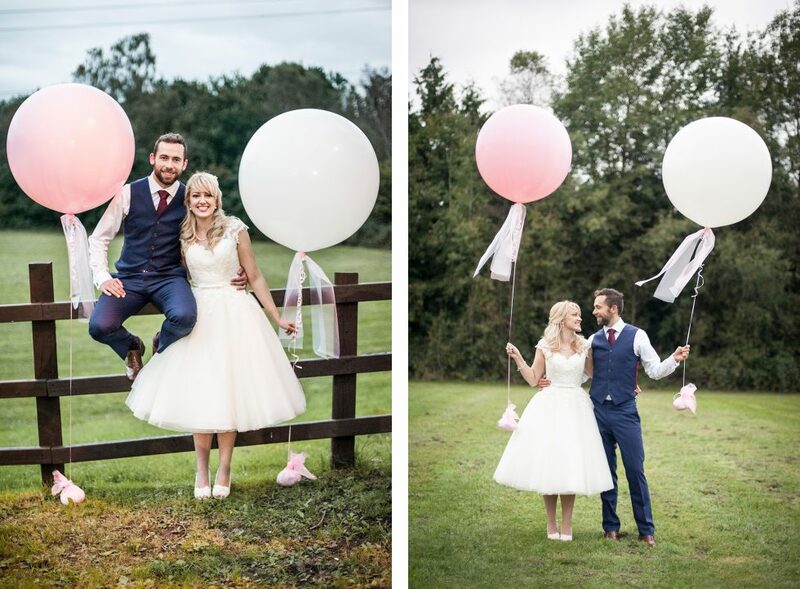 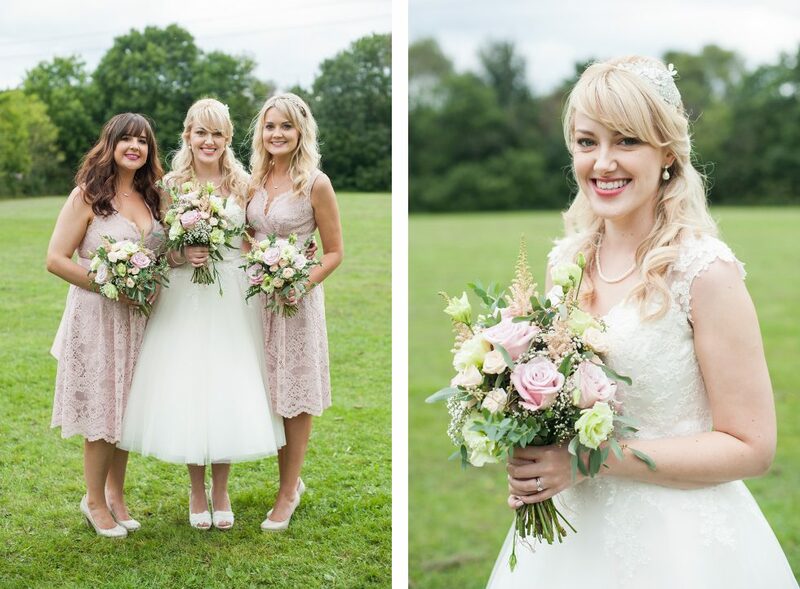 Pink pastel balloons, swooshy skirt and a quaint afternoon tea reception at the village hall – what’s not to love?! 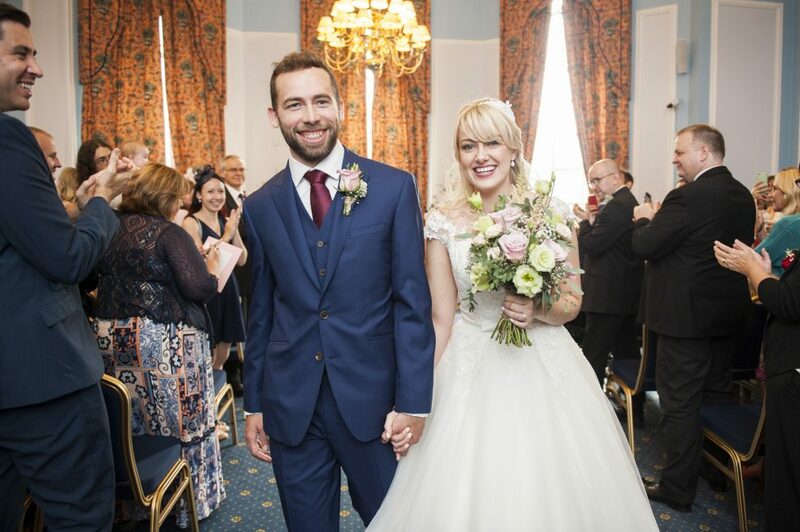 I first met Sophie & Tom at Rachel & Ben’s wedding a few years ago (they even have one of my photobooth pictures on their mantlepiece!) 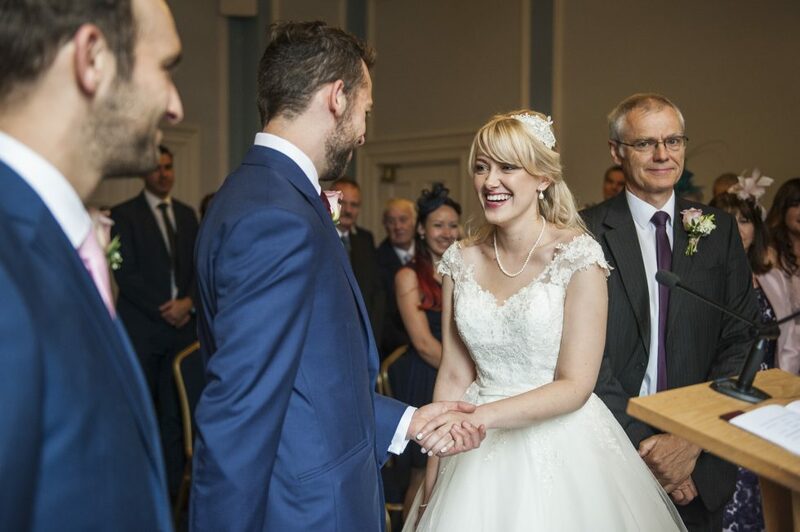 so I was touched that they remembered me for their own wedding day. 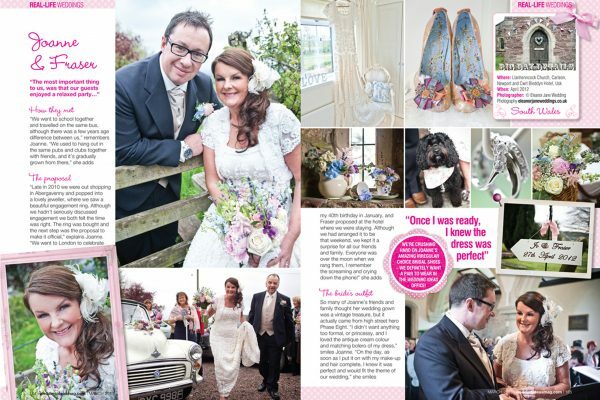 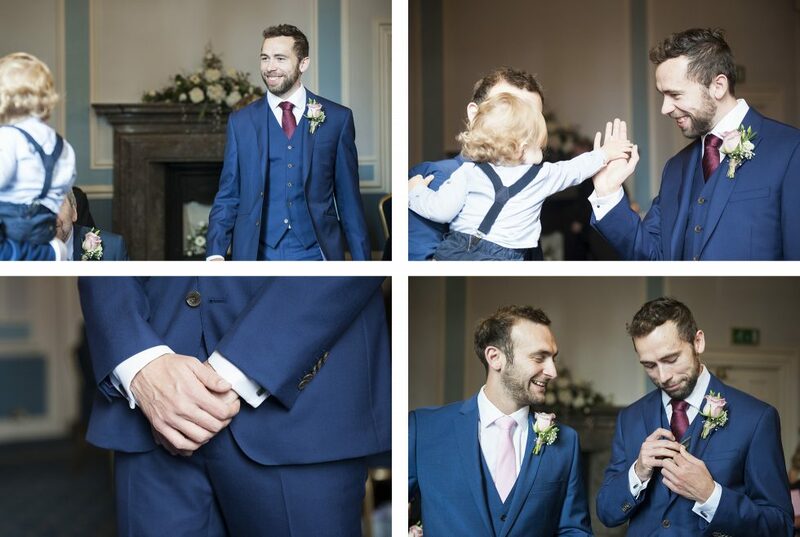 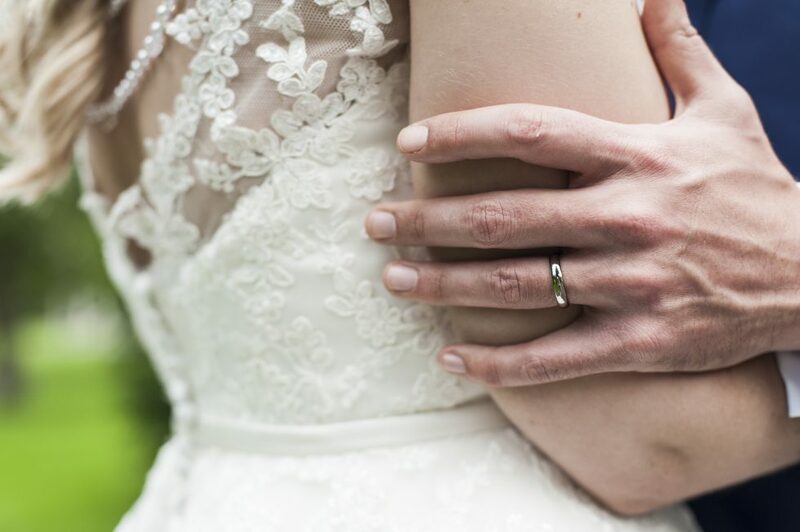 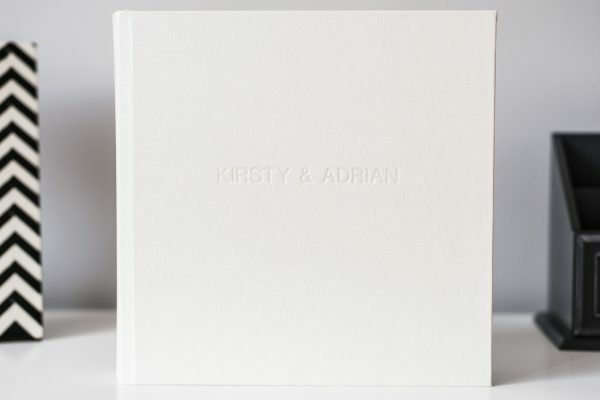 In fact, they reached out almost immediately after getting engaged, before even sharing the news with family & friends! 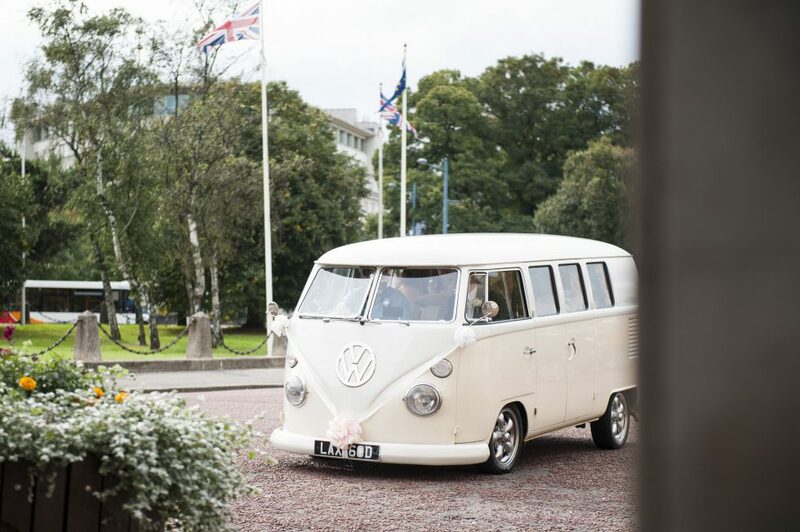 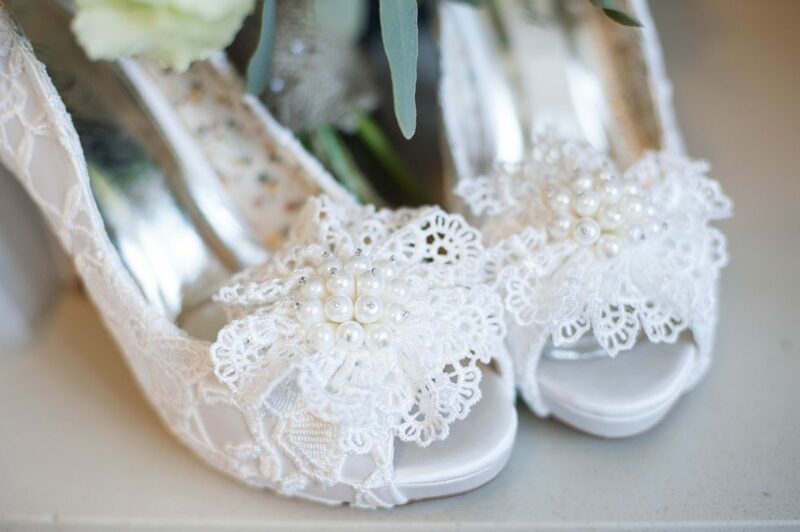 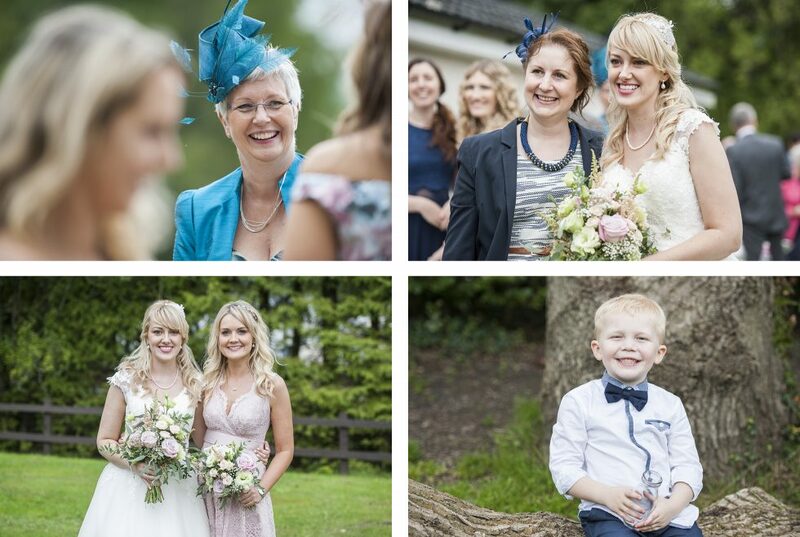 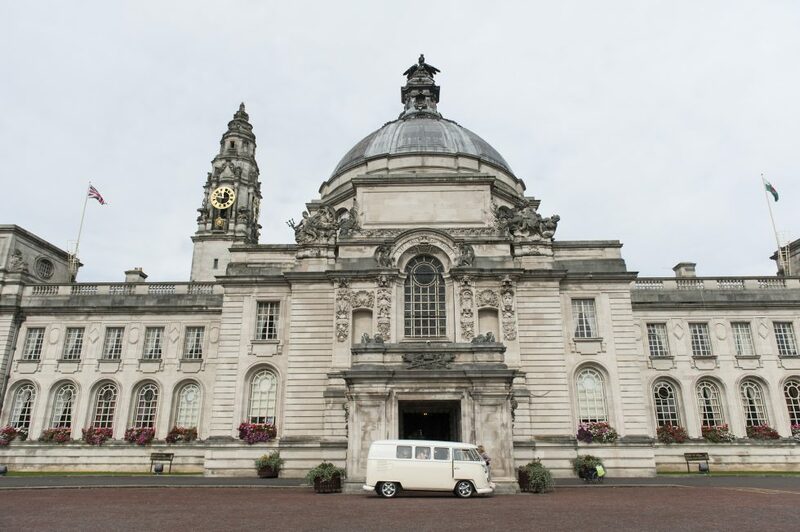 They held their ceremony at Cardiff City Hall followed by a quick photo session in Alexandra Gardens before travelling in a vintage VW van to their reception at Rudry Parish Hall in the rural setting of the Caerphilly mountains. 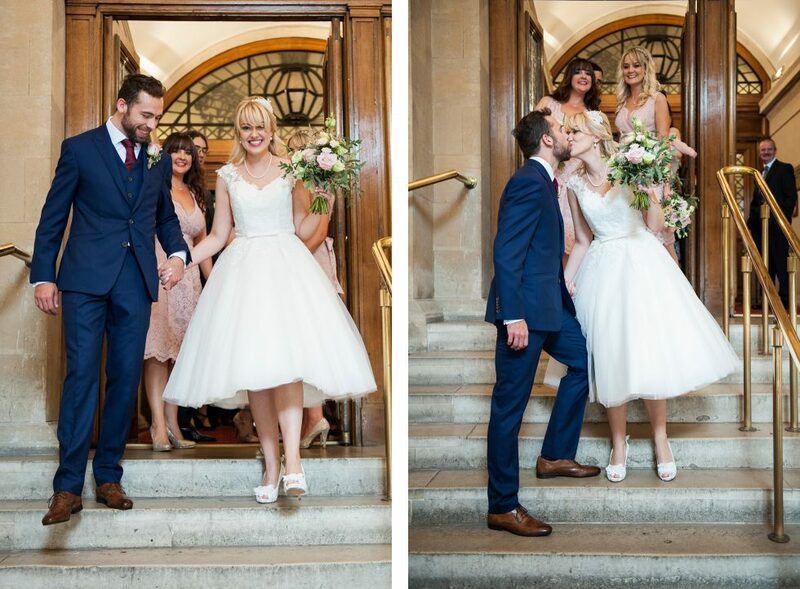 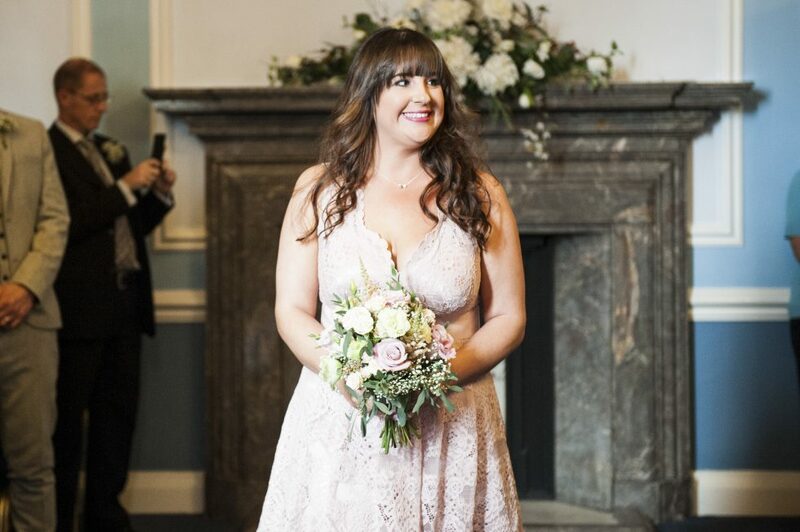 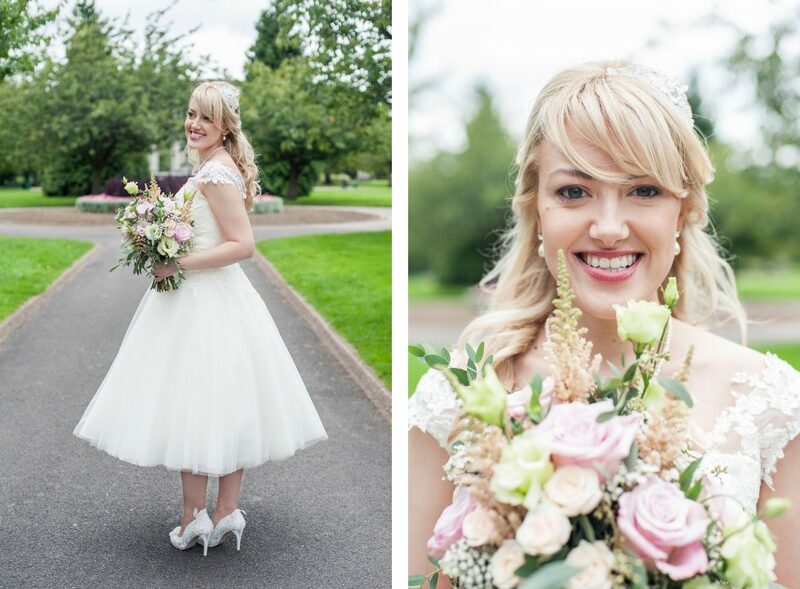 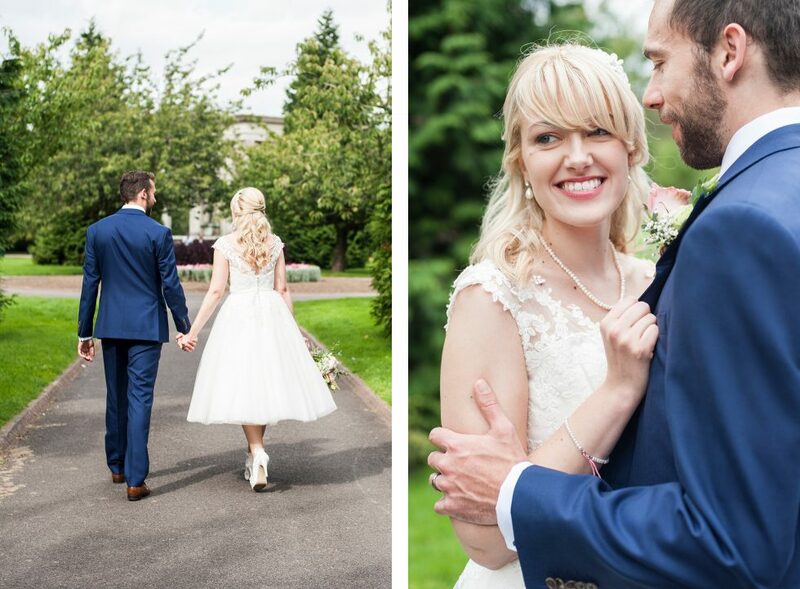 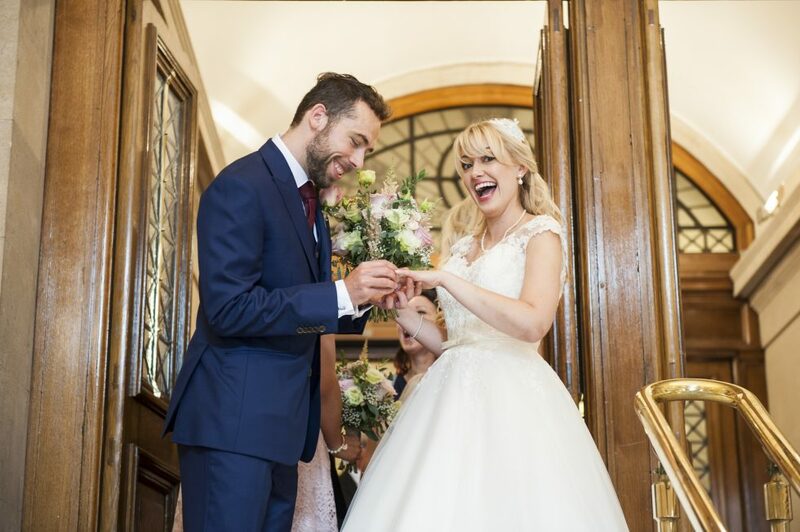 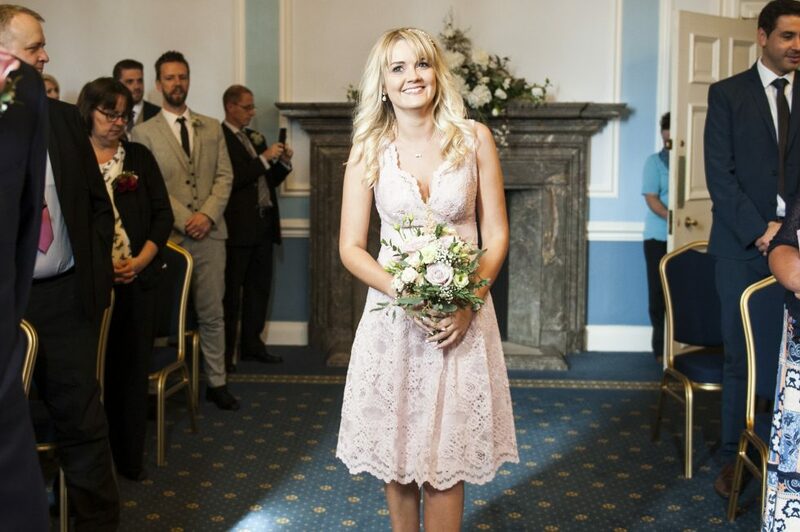 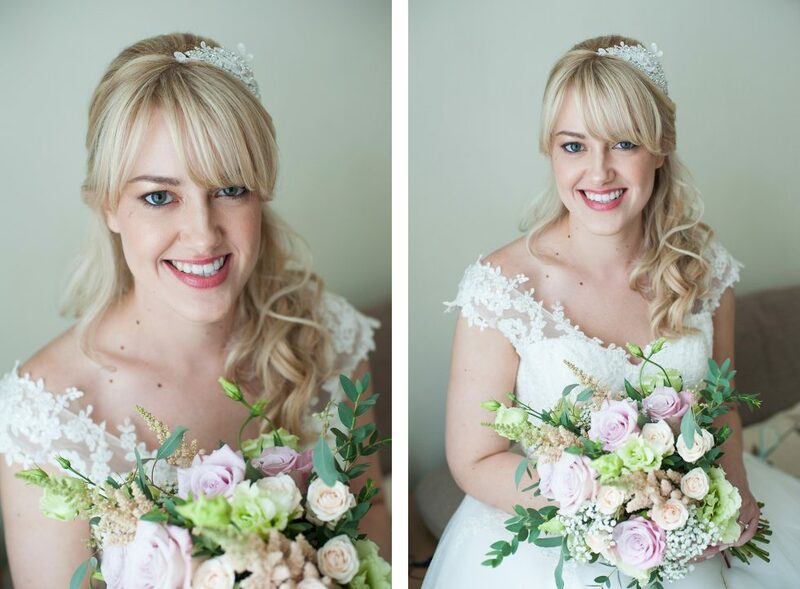 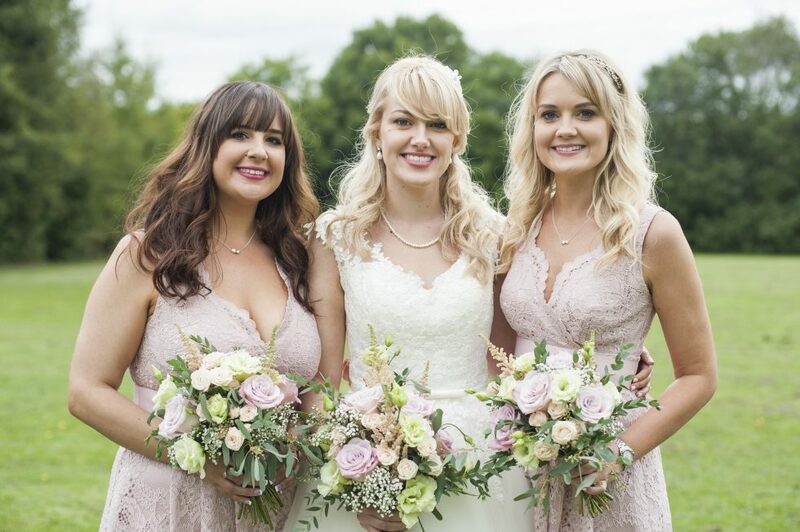 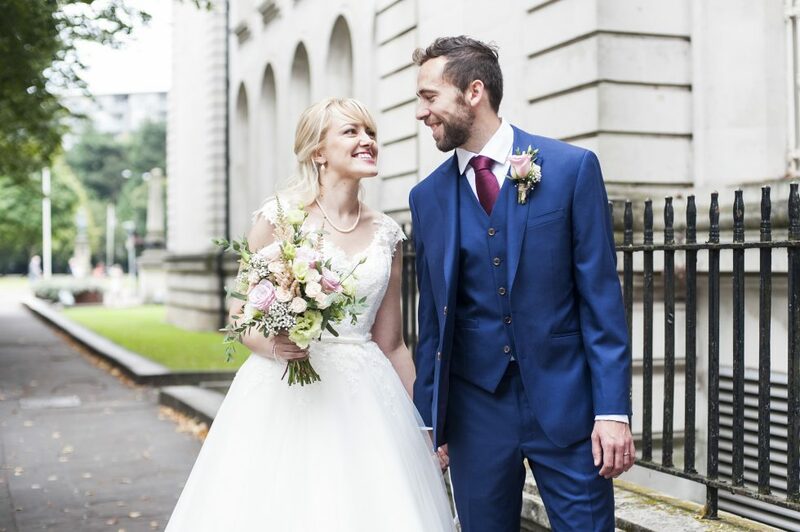 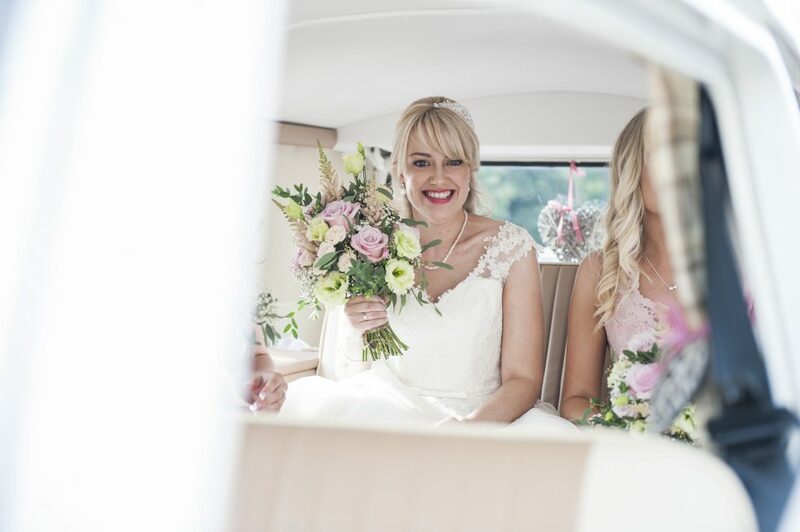 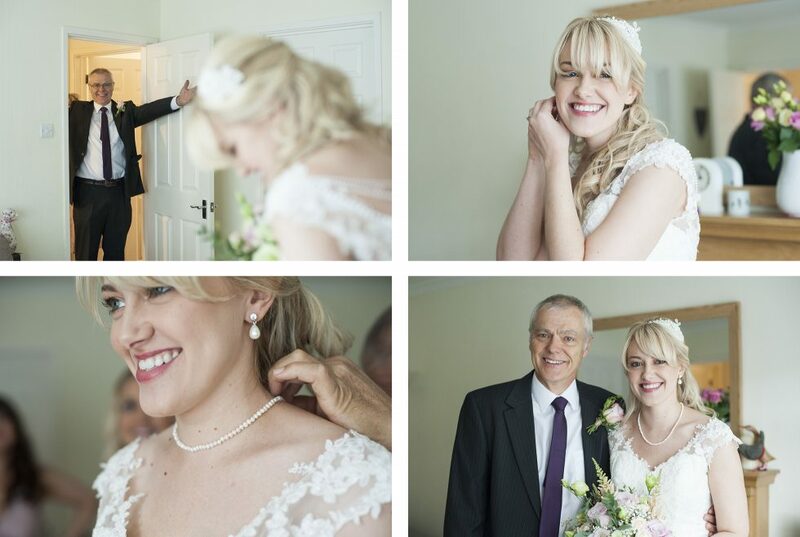 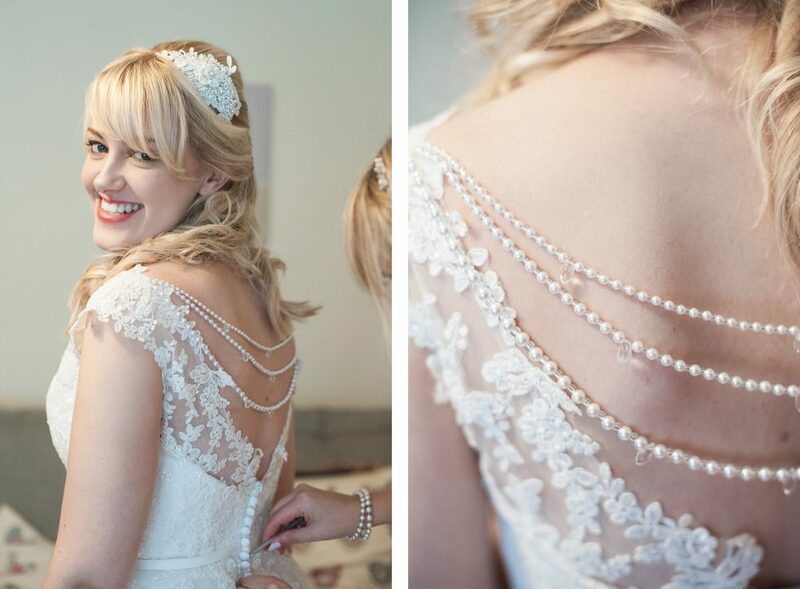 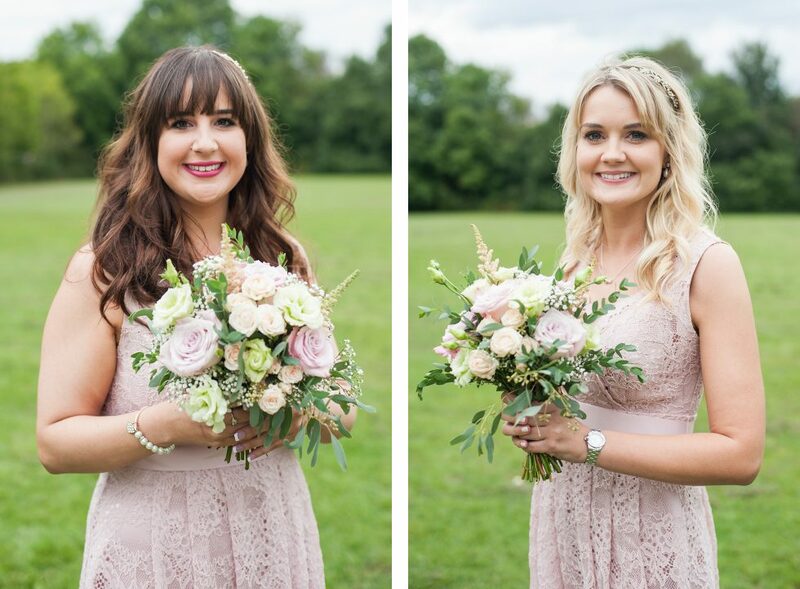 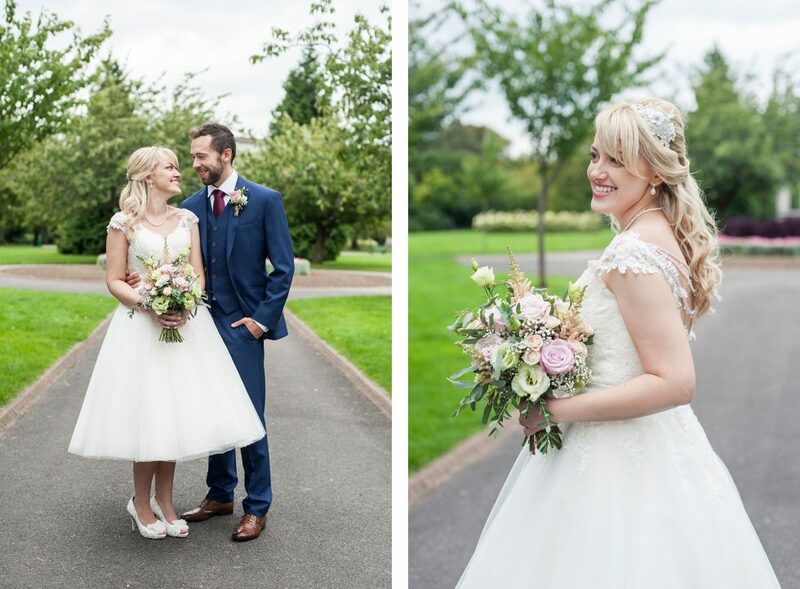 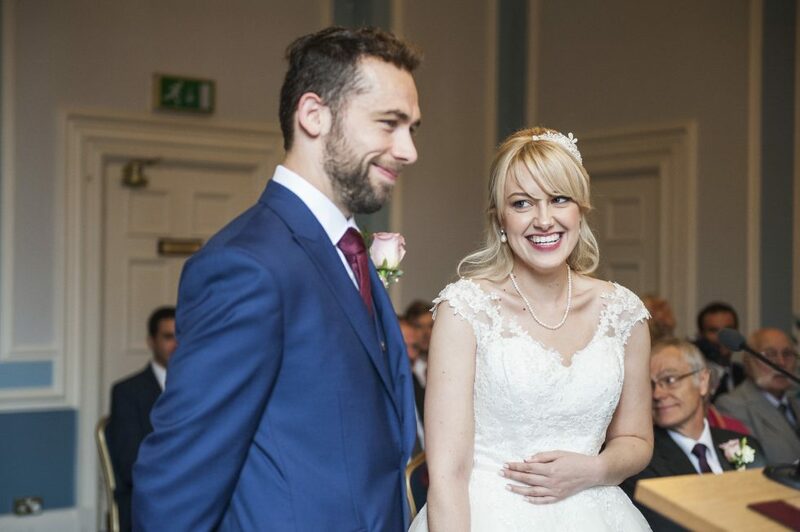 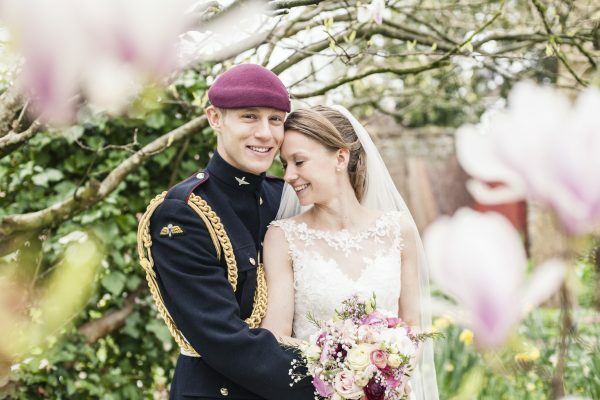 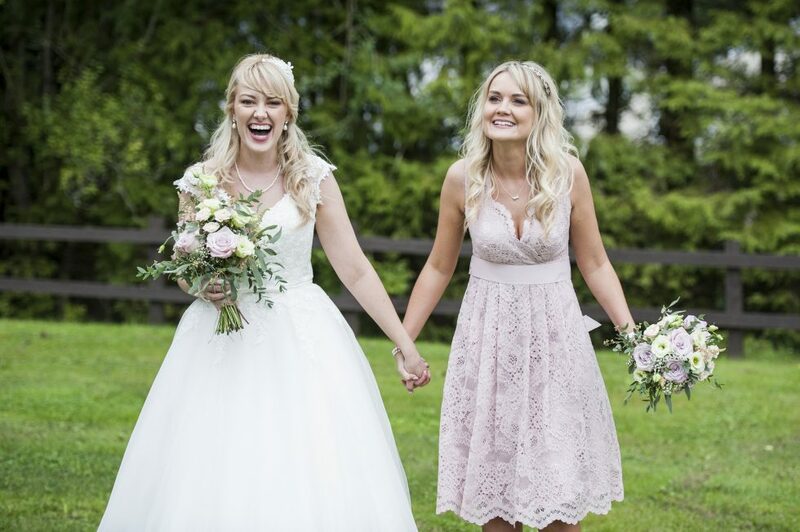 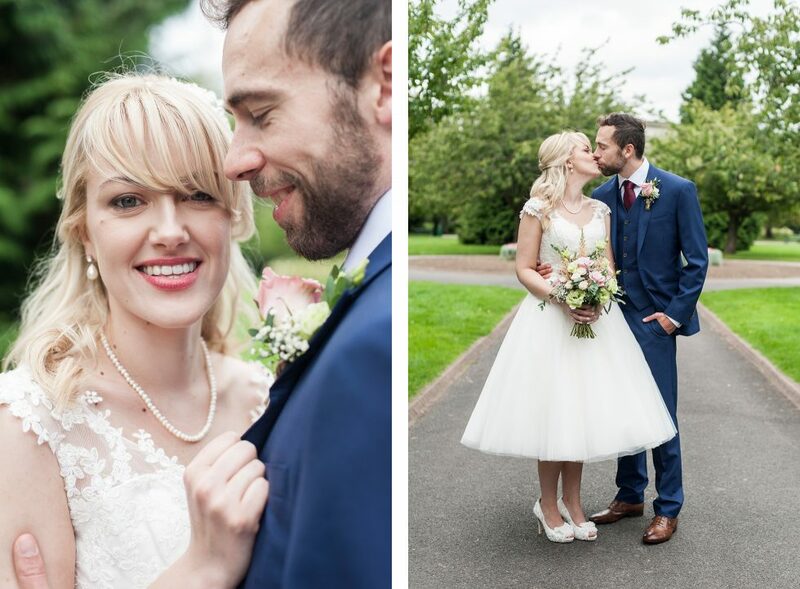 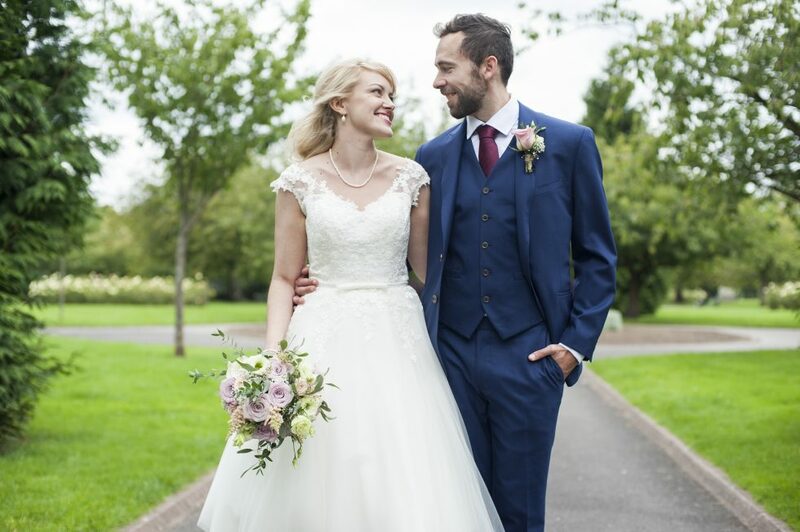 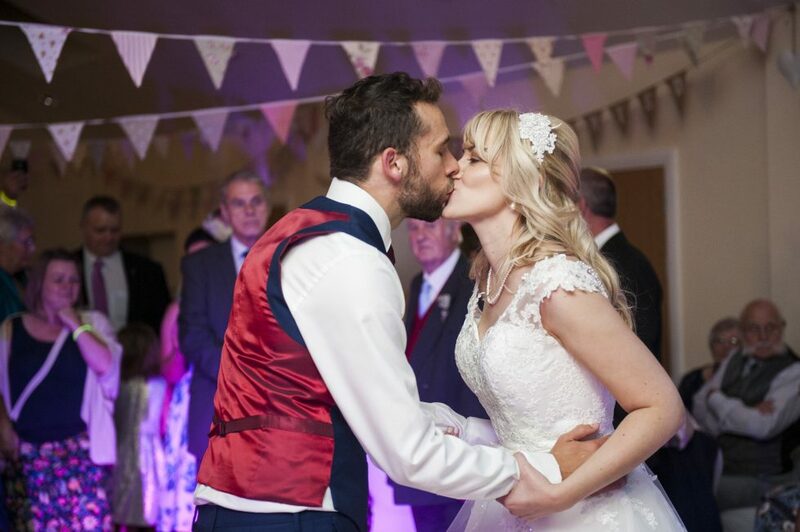 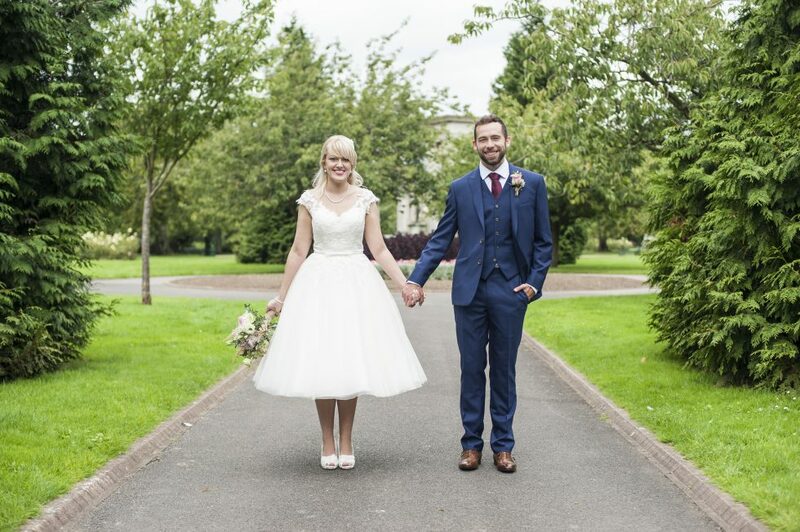 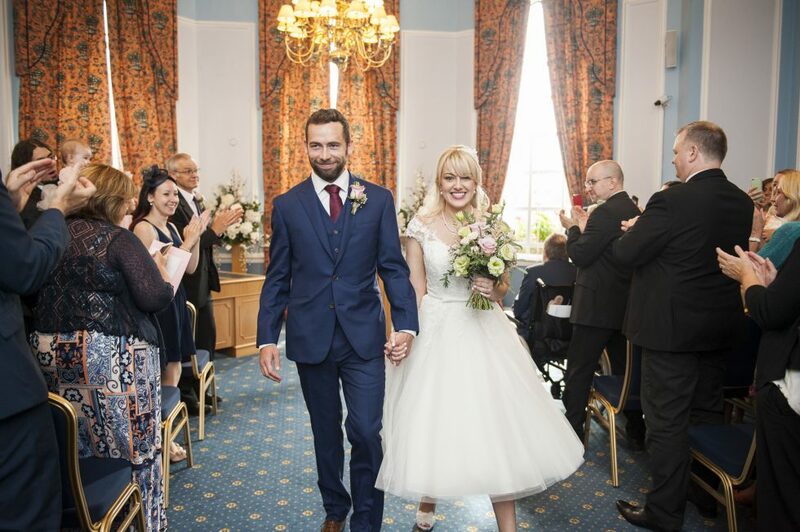 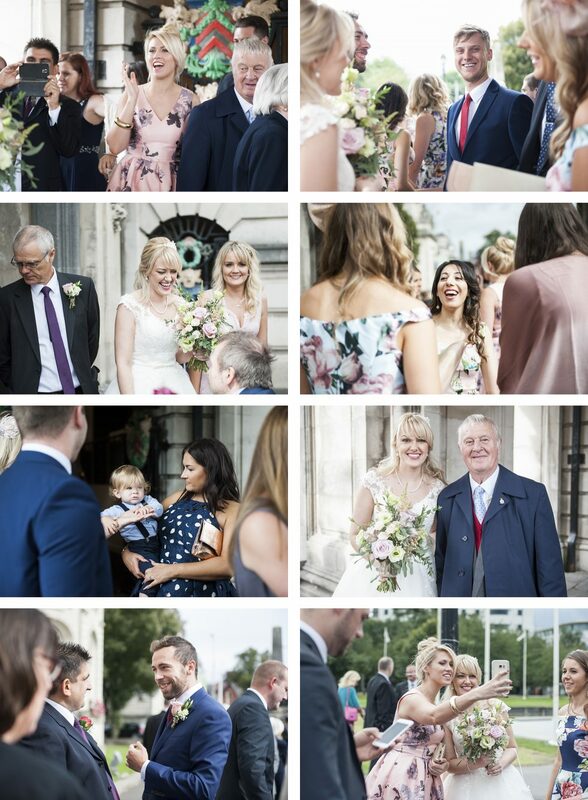 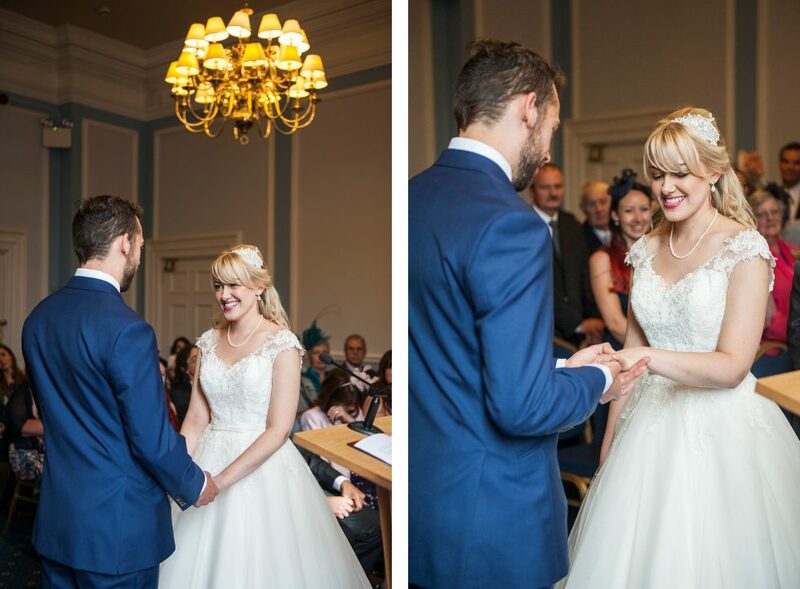 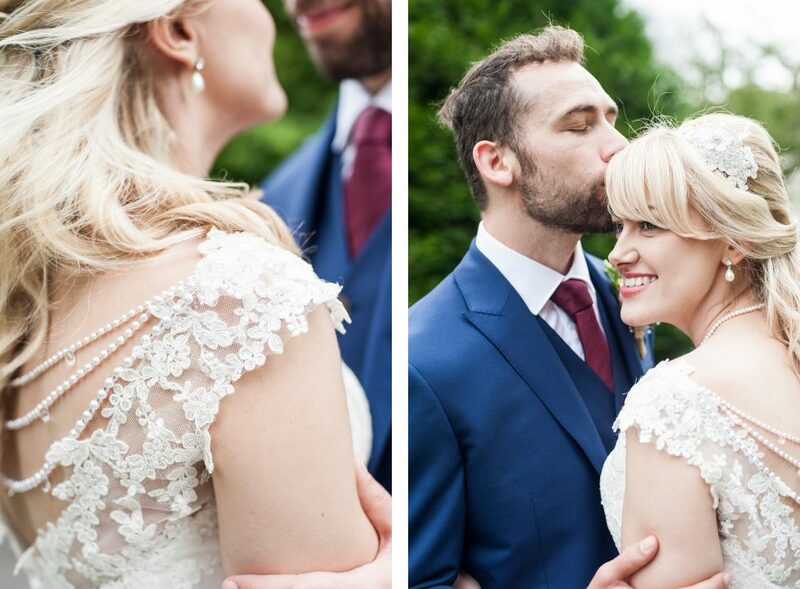 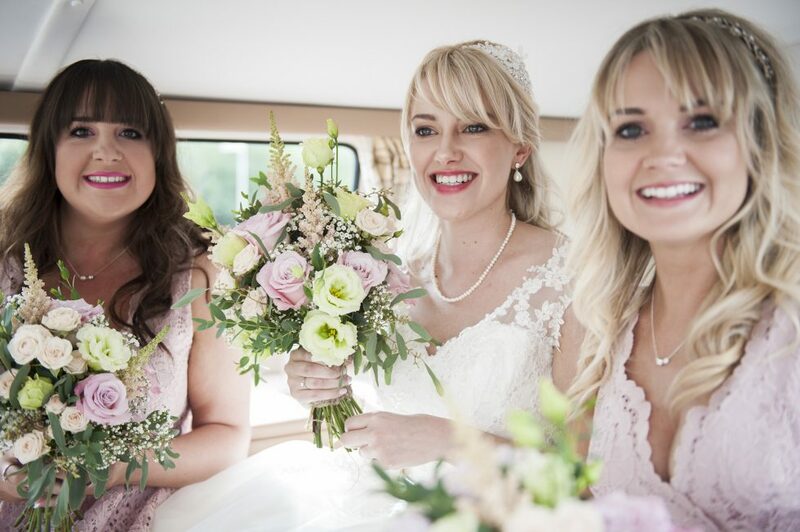 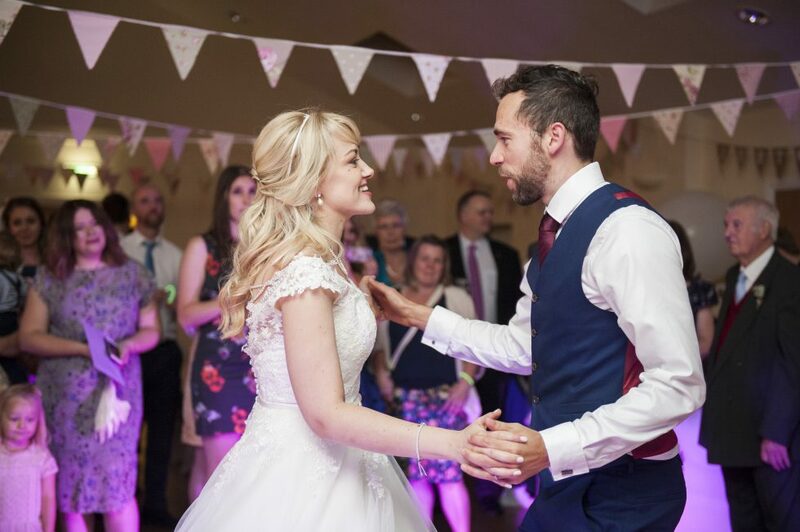 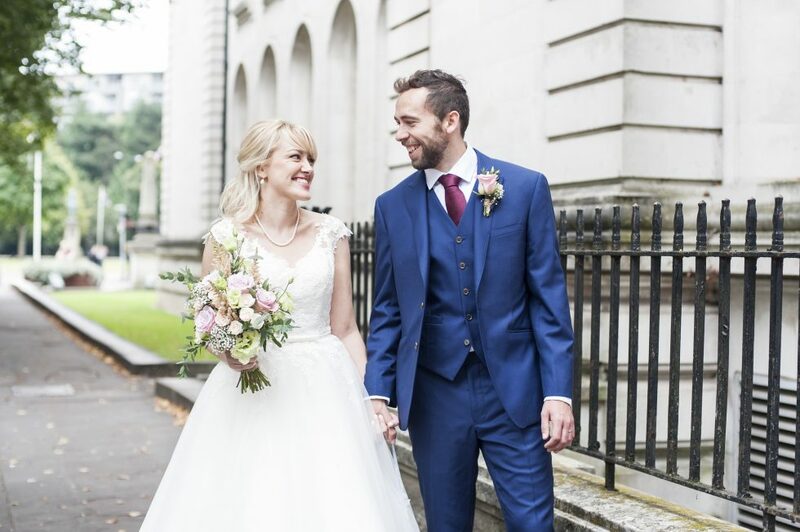 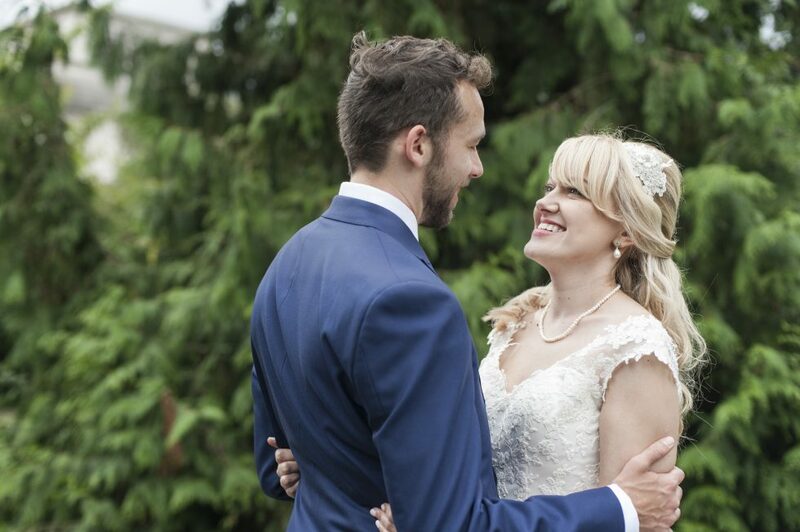 Beautiful Sophie looked AMAZING in a 50’s inspired tea length Brighton Belle wedding dress from True Bride with pretty lace heels and a bouquet of pastel roses in lilac, pink & peach. 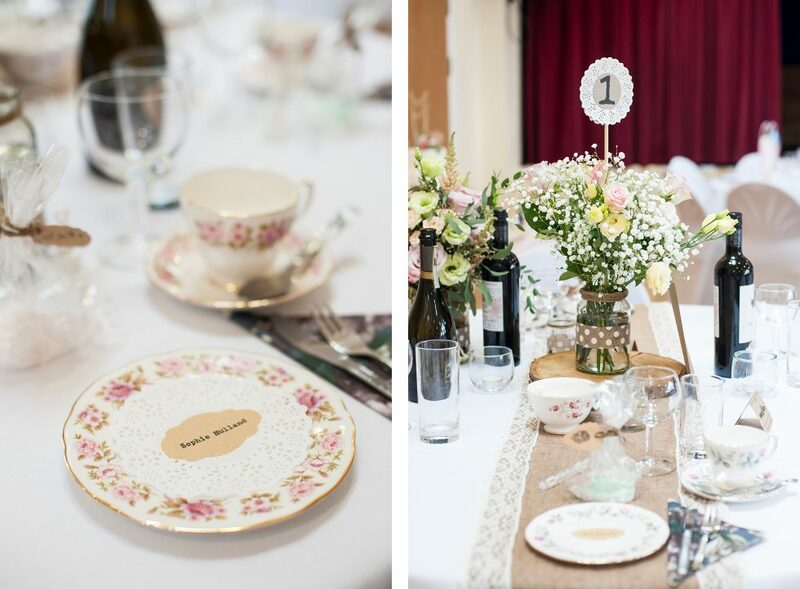 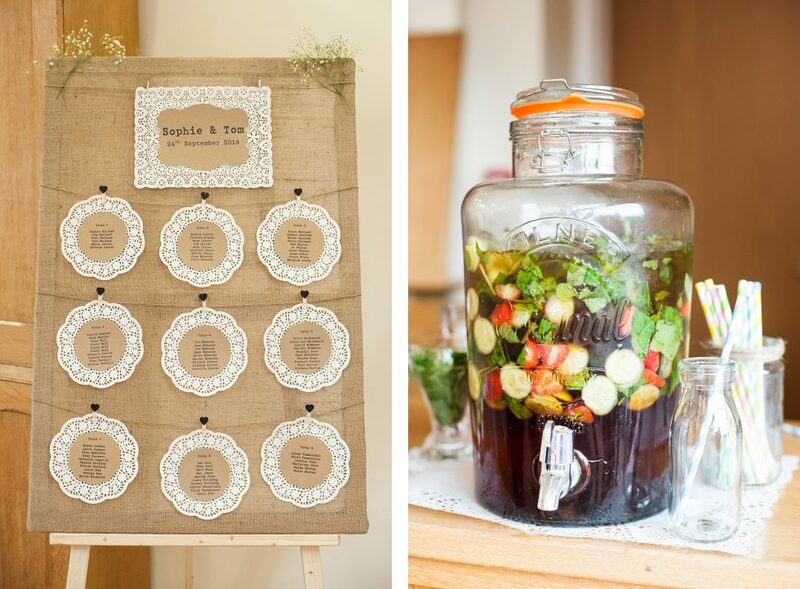 A delicious afternoon tea was provided by the ladies at Tea Cup Parties & Events.